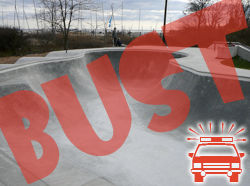 Heads up to anybody heading down to Fairfield to try and ride the new cement park, it's a total bust! Cops aren't even giving warnings, just handing trespassing tickets out straight up! Fighting a ticket and having to go to court for riding your bike is such BS! !